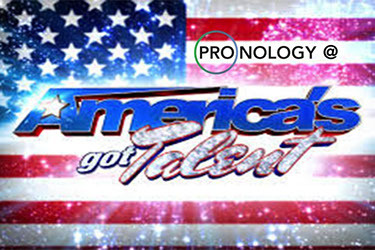 Pronology is proud to announce the successful completion of Season 8 of America’s Got Talent, produced by FremantleMedia for NBC. The show was produced live, 2 nights a week for 10 weeks. Creating 3 hours of primetime television every week is stressful even in the best of circumstances, but it was made all the more challenging this year with the introduction of a new venue for the show, historic Radio City Music Hall in the heart of New York City. The logistics of this location required post production (12 Avid Media Composers, and a 64 TB Unity ISIS) to be located almost 2 city blocks away from the NEP/Sweetwater truck that served as the control room for the show. This meant that there was absolutely no way to move baseband audio/video between the 2 locations beyond actually running video tapes through the crowded Manhattan streets. In order to accommodate all of the back and forth video traffic, a fiber optic circuit was installed between the venue and the nearby office building that morphed into a full-fledged post-production facility for the 10 week production cycle. The only way this scenario could work reliably however, was to build a solution that everyone could count on to deliver during the last second crunch time that every production of this nature seems to relish. Creation and movement of media is one part of the puzzle, but the useful organization of this media is yet another. 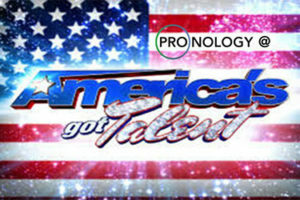 Therefore, FremantleMedia added the Pronology production suite to manage the EVS tools and allow media to be delivered to multiple destinations in such a way as to maintain a high-level of organization. All of the performers for a given telecast rehearsed for 2 or 3 days prior to air. The Pronology ingest controller allowed for the simple creation of web streamable proxy files. These proxy files, which were frame accurately linked to their high resolution siblings that resided on both the EVS XT in the TV Truck and the Avid ISIS that was 2 New York City blocks away (as MXF OP Atom wrapped Avid DNxHD), were automatically organized by show, day and performer in an easy to understand folder structure. All of this footage was instantly and securely available for viewing by Fremantle Executives located around the globe who used a standard web browser to access any of the various pieces that were of interest to them. Pronology was also used during the live show to create mp4 files downstream of the EVS high-res recordings that were immediately uploaded to YouTube, to allow Fremantle to “fingerprint” the content and thereby secure ownership before other contributors could upload unauthorized copies. Flexibility was a key requirement in the architecture of the system. During Pre-Production, the XTs would be configured as all recorders, allowing for a maximum number of cameras to be isolated and recorded. This pre-production often occurred just minutes before air. After the pre-recorded elements were captured and dispatched to their various destinations by the Pronology system, the XTs would be reconfigured for air with all playback channels controlled by the Playback Innovations playback controller, which allowed for multi-channel synchronous playback from an event based user interface, again using native protocol’s to control the EVS XTs. The ability to maximize the XT’s resources, and change from “all record” mode to “all playback” mode in the span of about 90 seconds was the most significant and economically efficient part of the entire operation. EVS’ open integration points allowed the XT to remain the foundation of the solution, while allowing Third Party software solutions like Pronology the ability to maximize the available resources and provide a secure and organized way of creating and browsing footage.